It’s technically October 17. I say technically because it’s 1:22 am my time and I should really be in bed. I just can’t sleep! Want to know why? 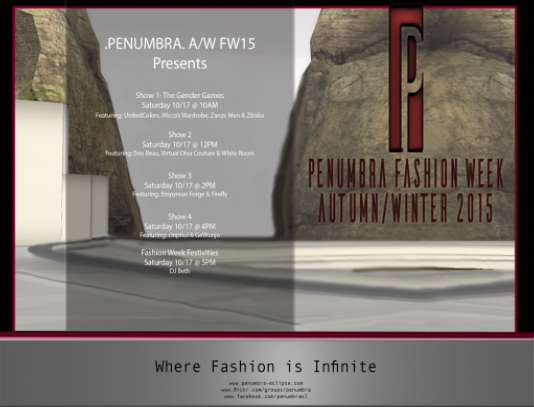 PENUMBRA Fashion Week Autumn and Winter 2015 starts on October 17! I’ve posted tomorrow’s show schedule below. 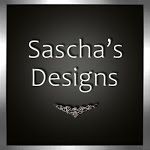 Wicca’s Wardrobe is one of tomorrow’s features. Just so you know, I fell in love with Wicca Merlin’s PENUMBRA exclusives: Breyanna dress, Raquel heels, and Grace headpiece. Why so much love? I’m a sucker for billowy yet sleek silhouettes, crisp textures, headpieces, and platform heels. I added the cat because I have just as much love for animals.